Boat Description Wait a minute. 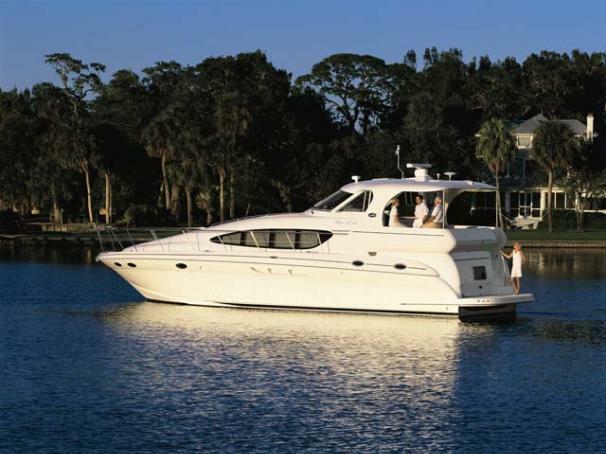 Isn`t that you sitting serenely on the afterdeck of that gorgeous Sea Ray 480 Motor Yacht? No? Pity. One quick turn of the key, the quiet, magnificent rumble of twin 640-hp Cummins engines, a stealthy departure (no wake, of course), and you could be on the leeward side of the Caicos before anyone realized you were gone. You could also take along several friends. On the other hand, let them eat conch. Send them a postcard.